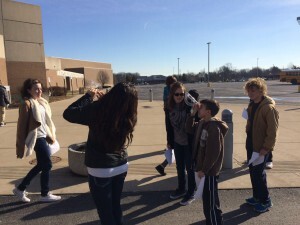 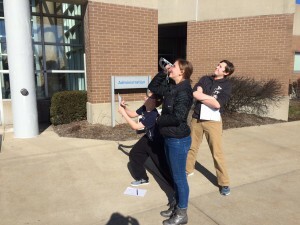 Perry Meridian Middle Geometry students in Mr. Gross’ class took advantage of the weather and went outside for some indirect measurement using trigonometric ratios. 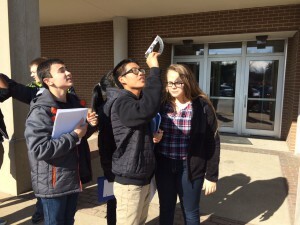 The students used an advanced piece of technology called a clinometer to find the angle of elevation of a tall object. 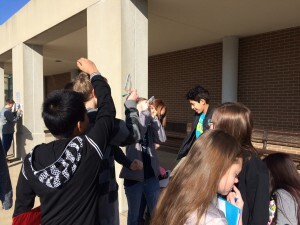 They used this measurement along with a few other measurements to calculate an estimated height of the flagpole.